Arab unity emerged as the champions of the CSS Homeward Bound inter school cricket tournament defeating Gems modern academy for 36 runs at the fair grounds of the Dubai men’s college. The tournament staged after 6 years due to shortage of ground availability, was a great success with 10 top schools from the UAE competing the event and unearthed many a talents from the region for cricket. CSS Homeward bound were the Main sponsors for the event which lasted for almost 3 months due to exams and vacations for the participating schools in between. Iritza Ali, the hero of the final cracked a half century and took three wickets to bag the prestigious man of the final award. Batting first Arab unity lost opener Huzaifa Nadeem for six, but Irtiza and Ramal Perera steadied the innings with a crucial 46 runs stand. CSS Homeward Bound, the leaders in Moving & Relocations, sponsored the Inter-School cricket tournament and showed its interest in promoting talents from the budding levels of cricket. As a Champion of philanthropy CSS Group, the parent organization is involved in many novel initiatives promoting charity activities across the UAE. 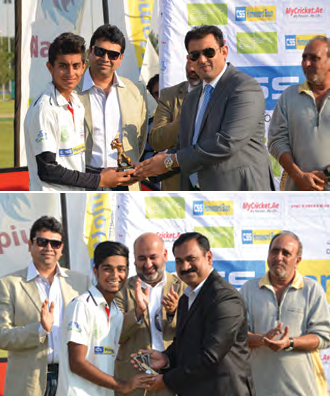 The final match and the presentation ceremony was attended by Unnikrishnan G, Head of Marketing & Corporate communications CSS Group along with the pantheon of players from the cricketing fraternity in Dubai.